1. The Nigeria's Senate President. 1962 to Olusola Saraki and Florence Morenike Saraki. 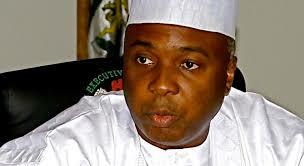 His father, Olusola Saraki was once a Senator of the Federal republic of Nigeria and a one time senate leader. He is a senator of the Federal Republic of Nigeria, and an Ex-Governor. He is an indigene of Kwara State. He is married to Toyin (née Ojora) Saraki. They are blessed with four children. 2. NIGERIA'S DEPUTY SENATE PRESIDENT. Ike Ekweremadu is the Nigeria's Deputy Senate President. He is a senator of the Federal Republic of Nigeria was born on May 12, 1962 at Amachara Mpu Village in Aninri Local Government Area of Enugu State. He was born into the royal family of His Royal Highness,Late Igwe Mathias Ekweremadu, the Okwaa Anekeoji 1 of Mpu, Aninri Local Government Area of Enugu State. After his Primary School Education, he had his Secondary Education at St. Dominic’s Secondary school, Ugiri, Imo State and Boys Secondary School, Umueze Awkunanaw where he obtained a Grade 1 in West African School Certificate. 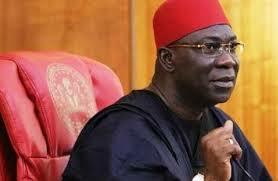 Ike Ekweremadu studied Law at the University of Nigeria, Nsukka(UNN) and was called to the Nigerian Bar in 1987. He later wentto obtain his Masters degree from the same University. Thereafter he got his Doctorate from the University of Abuja. He is married to Lady Nwanneka Ekweremadu and their marriage is blessed with four Children. Ike Ekweremadu began his political career from the grassroots. He started serving the people by holding the position of Chairman of Mpu Town Union, Enugu State. From there he was elected the Chairman of Aninri Local Government Council. His unprecedented performance won him the Best Council Chairman of the year, in 1997. Haven built a great political resume at the grassroots, he was appointed the Chief of Staff, Enugu State Government House and subsequently the Secretary to the Government of Enugu State. In 2003, Ike Ekweremadu for the first time contested in the Senatorial elections and won. He was elected a Senator of the Federal Republic of Nigeria to represent Enugu West Senatorial District under the platform of Peoples Democratic Party (PDP). It is worthy to note that he was re-elected in the 2007 elections, and also in 2011 senatorial elections. While in the Senate, he was elected the Deputy President of the Senate in 2007. As the deputy President, He was given the job of handing out committee chairmanship positions allocated to the southeast zone, making decisions that were unpopular with some senators. In July 2007, Ike Ekweremadu was instrumental in defusing objections to the controversial nomination of Ojo Maduekwe to a Ministerial position. In September 2009, Ike Ekweremadu was made a co-chairman of a committee to conduct the primary elections for the Peoples Democratic Party’s governorship candidate for Anambra State. In September 2009, he was appointed to lead ECOWAS- Economic Community of West African States. 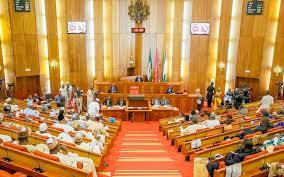 And was in an ad hoc committee whose duty was to work for the return of constitutional order in the Niger Republic. He was elected First Deputy Speaker of the ECOWAS Parliament and emerged the Speaker of the regional parliament in August 2011. Again in 2011,he retained his position as Deputy President of the senate. In the 2015 senatorial elections he again contested and was re-elected as a senator of the Federal Republic of Nigeria to represent Enugu West Senatorial District. It is important to state here that he was again adopted as the Deputy President of the senate. 3. NIGERIA'S SENATE MAJORITY LEADER. 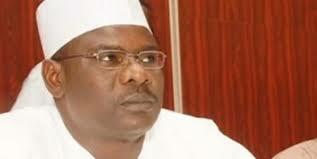 Mohammed Ali Ndume is the Nigeria's Senate Majority Leader. 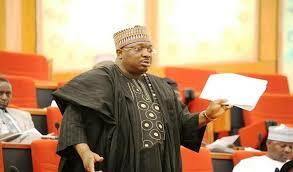 He is a senator of the Federal Republic of Nigeria was born on November 20, 1959 in Gwoza Town of Borno State. He is an indigene of Borno State. After Secondary School he proceeded to Kaduna State Polytechnic where he studied Marketing in 1978. He completed his Ordinary National Diploma (OND) in 1980 and Higher National Diploma (HND) in Marketing in 1982 at Upper Credit level.Ali Ndume then went for his compulsory one year National Youth Service Corps(NYSC) at Ogun State where he served with the Federal Polytechnic Ilaro in Ogun State between 1982 – 1983. 3. NIGERIA'S SENATE MINORITY LEADER. Godswill Obot Akpabio is a native of Ukana, Ikot Ntuen, Akwa Ibom State. He was born on December 19, 1962. 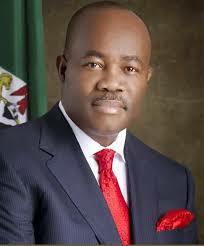 Godswill Akpabio had his secondary education at the Federal Government College, Port Harcourt. After his secondary school, Godswill Akpabio gained admission to study law at the University of Calabar. He was subsequently called to the bar. Godswill Akpabio was called to serve his dear state in the year 2002, when he was appointed the Commissioner for Petroleum and Natural Resources. He later was engaged in the State’s ministry of Local Government and Chieftaincy Affairs, where he left no stone unturned in turning around the local government system. In the year 2006, he was further appointed the Commissioner for Lands and Housing. In April 2007, Godswill Akpabio contested for governor of Akwa Ibom State on the platform of People's Democratic Party (PDP) and was successful. Thereupon, he became the governor of Akwa Ibom State having been sworn-in on May 29, 2007. On April 26, 2011, Godswill Akpabio was re-elected for the second term in office as the governor of Akwa Ibom State. In the April 2015 elections, he contested for the Awka Ibom North West Senatorial Seat and won under the Platform of the People's Democratic Party(PDP). 4. NIGERIA'S SENATE CHIEF WHIP. Senator Olusola Adeyeye is Nigeria's Senate Chief Whip. He was born in 1952. He is a Nigerian Politician and Biologist. He is an indigene of Ila, in Osun State. He is a Senator of the Federal Republic of Nigeria representing Osun Central Senatorial District. He was elected in the April 2011 Elections. In the 2015 elections, he again re-contested for a seat in Osun Central Senatorial district under the Platform of the All Progressive Congress(APC) and Won. He was later nominated as the Chief Whip of the House. He attended Obokun High School which later merged with Ilesa Grammar School. At this School, he obtained his West Africa School Certificate. Adeyeye attended the University of Ibadan. When the military government of Olusegun Obasanjo lifted the ban on politics in 1978, he worked for the Unity Party of Nigeria (UPN), which was the party of Chief Obafemi Awolowo. After Awolowo failed to be elected President in 1979, Adeyeye went abroad where he bagged his graduate degree. He thereafter obtained a PhD from the University of Georgia. Adeyeye Olusola later became a Professor of Biology at Duquesne University. Olusola Adeyeye is married to Moji Christianah Adeyeye, and they are blessed with two daughters and a son. 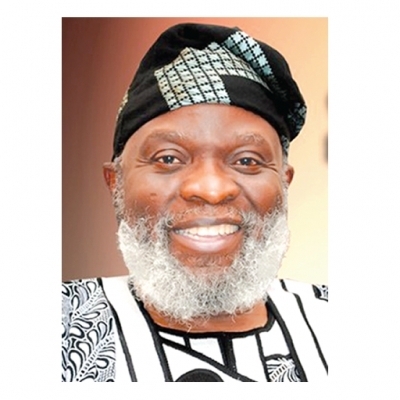 His wife attended the University of Nigeria, obtaining a BsC in pharmaceutics in 1976, and went on to the University of Georgia where she obtained a Ph.D. in pharmaceutics in 1988. She is founder of Drugs for AIDS and HIV Patients, a nonprofit organization committed to prevention, education, care and treatment of HIV/AIDS children in Nigeria. Prior to becoming a Senator of the Federal Republic of Nigeria, Adeyeye Olusola was the Secretary-General of the United Democratic Front of Nigeria (UDFN), an overseas organization that promoted a return to democracy in Nigeria. After returning to Nigeria, Adeyeye was Chairman of Ifedayo Local Government in Osun State. He was elected a member of Federal House of Representatives in April 2003, representing Boluwaduro/Ifedayo/Ila Federal Constituency, holding office until April 2007. Adeyeye Olusola was also the Chief Executive Officer of Elim Pediatric Pharmaceuticals Inc. It is worthy to note that he has as his Legislative interests Education, Finance and Human Rights. In line with this he Targets to Improve Nigeria’s Infrastructure and Human Capital. 5. NIGERIA'S SENATE MINORITY WHIP. national House of Representatives between 2003 and 2011, and was elected to the Senate for Abuja Federal Capital Territory in the April 2011 and 2015 elections, under the Platform of the Peoples Democratic Party (PDP). He had his secondary Education at Government Secondary School, Gwagwalada from 1983–1987. He then obtained a diploma in social works and social development at the University of Jos from 1990 to 1992. He had his Ordinary National Diploma(OND) at Kaduna State Polythenic and thereafter went to Federal Polytechnic, Bida, Abuja Campus where he obtained a Higher National Diploma(HND) in Public Administration in 1997. He was a Managing Director of Aduda Nigeria Limited from 1992 to 1995. Philips Aduda began his political career by running for councillorship and was elected a Councilor of Karu Ward, Abuja, and held various positions on the Abuja Municipal Area Council. He was thereafter elected as Member of the House of Representatives for AMAC/Bwara in Abuja from 2003 to 2007, and was appointed Chairman, of the House committee on Federal Capital Territory, and member of other committees. He was re-elected to represent Bwari Area, Abuja in the House of Representatives from 2007 to 2011. It is worthy to note that in October 2009 he was given the Best Performing Legislator Award for his contribution to the development of the people. Prior to the April 2011 elections, the Federal Capital Integrity Group and other NGOs declared their support for the candidature of Aduda for the FCT Senatorial seat. Philips Aduda however emerged victorious. In the 2015 elections he was again re-elected as a senator for the Federal Capital Territory under the Platform of the Peoples Democratic Party(PDP). 6. NIGERIA'S SENATE DEPUTY MAJORITY LEADER. He attended Yewande Primary School in Surulere, Lagos and went to Police Secondary School, Minna, in Niger State. After completing secondary school, he proceeded to Cape Flying School in South Africa, where he completed his commercial pilot license at the age of 17 but could not take his check-ride until December 2008 because he was underage. He later obtained a Bachelor’s degree in Law. Bala Ibn Na’Allah was elected to the House of Representatives of the Federal Republic of Nigeria to represent Zuru, Kebbi State from 2003 – 2011. 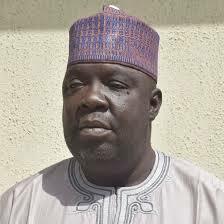 In the 2015 elections, he contested for the Kebbi South Senatorial seat and won under the platform of the All Progressive Congress(APC). 7. NIGERIA'S SENATE DEPUTY MINORITY LEADER. State. He is a Senator of the Federal Republic of Nigeria representing Taraba South Senatorial District. He was elected in the April 2011 Elections. In the 2015 elections, he again re-contested for a seat in Taraba South Senatorial district under the Platform of the Peoples Democratic Party(PDP) and Won. He was later nominated as the Deputy Minority Leader of the Senate. He has an Education Diploma in Public Administration from the University of Calabar. Prior to becoming a Senator of the Federal Republic of Nigeria, Emmanuel Bwacha was a public servant, he served as Commissioner of Agriculture for Taraba State between 1999 and 2003 in the Jolly Nyame administration. Senator Bwacha was elected to the federal House of Representatives for the Donga / Ussa / Takum Constituency, serving from May 2003 to May 2007. He was also the Chairman of the House Committee on Police Affairs. It is worthy to note that he has as his Legislative interests Education, Policing, and Federal Capital Development. In line with this, he Targets to bring development close to the rural dwellers. 8. NIGERIA'S SENATE DEPUTY CHIEF WHIP. Francis Asekhame Alimikhena is the Nigeria's Senate Deputy Chief Whip. He was born on October 18, 1947. He hails from Estako Local Government Area of Edo State. He had his secondary Education at St. Thomas Seccondary Modern School and later proceeded to the University of Buckingham United Kingdom where he graduated with a degree in Law. He was later called to the Nigeria Bar as a Solicitor and Advocate of the Supreme Court of Nigeria. The early life of Francis Asekhame Alimikhena draws attention due the exceptional characteristics that surround his up bringing. He was brought up under a strong Christian principle. These principle formed the bedrock upon which his life stood today. Prior to studying law, He joined the Nigerian Army as a Commissioned Officer in 1972 and retired as a Major in the year 2000. His victory at the 2015 senatorial elections has drawn the attention of the whole nation as the most Unique victory in the political history of the All Progressive Congress (APC). Alimikhena is the only elected APC Senator in the entire South South and South Eastern part of Nigeria. This heroic personality achieved his name and fame through hard work and exceptional qualities that stand him out. He has battled against all odds to reach the pinnacle of success by his courage, determination and perseverance. His life has inspired millions of Edo State indigenes. Alimikhena was one of the earliest entrepreneurs of the defunct mid western region who made it big by hard work. He worked tirelessly to put his small Igiode village in the World Map. Through his acts of Philantropy, Contributions and support, he gained the influence of his people. Due to his unwavering support and development of Edo North without occupying any political office, Alimikhena became the ideal personality for the people of Edo North. Alimikhena in his eventful early life draws his philosophy of life from the seven point creed given to Coach John Wooden by his father, the most admired coach of the university of California which says ‘Be true to yourself. Help others. Make each day your best. Drink deeply from books, particularly the Bible. Make friendship a fine art. Build a shelter against a rainy day by saving and lastly pray for guidance and give thanks to the almighty God for your blessing. The effect of these simple but incisive words is the underpinning pillars upon which the Edo North Senator draws his multiple inspirations. In the past years, Alimikhena has constituted himself as a one man liberation army driven by passion to reposition the community where he emanated from. Alimikhena is viewed as the messiah of the very poor and the downtrodden in Etsako. His philanthropy and social ideals manifested themselves in the building of igiode primary school in his village to provide access to functional education. With the consciousness that health is wealth, Francis Alimikhena also built and equiped a functional health center in igiode. Based on the high level of cholera and the spread of water bond diseases, Alimikhena also prior to becoming a senator, provided functional boreholes that is still the major source of water supply in Igiode, Agenebode in Etsako East local government area of Edo State till today. The Catholic holy family church in Igiode which is today the biggest parish in the area with multiple story buildings as the bishop quarters were all the handiwork of this dazzling personality who is today the Edo North Senator Elect. In the past years, Igiode Community was cut off from Major towns and cities due to bad road network and electricity. Today, the story is not the same again. Without occupying any political office, Alimikhena has done all these and supplied transformers to various communities across Edo North in order to make life conducive for the common man in the street. 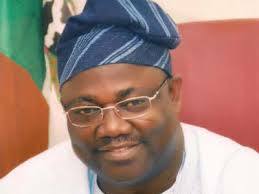 In 2007 he contested under the platform of the Peoples Democratic Party (PDP) in Edo North Senatorial District. But unfortunately lost. Later in 2011 when the fortunes of PDP were dwindling in the state he was again approached to come out and contest. This he did but unfortunately did not make it. He thereafter defected to the All Progressive Congress(APC). In the 2015 elections, he again contested for the senatorial seat under the APC platform and won. 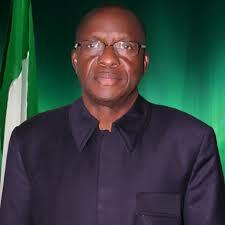 He thereby became the senator representing Edo North senatorial district. 9. NIGERIA'S SENATE DEPUTY MINORITY WHIP. Biodun Christine Olujimi, Senator of the Federal Republic of Nigeria was Born to a Photographer father and Seamstress mother on the 25th of December, 1958. She hails from Omuo-Ekiti in Ekiti East Local Government Area of Ekiti State Nigeria. Biodun Olujimi had her early education at our Lady of Apostles, Ibadan, Oyo State. She went ahead to obtain a Diploma in Journalism from the Nigerian Institute of Journalism. She proceeded further to get a degree in Political Science and a postgraduate degree in Public Relations and Marketing from the University of Abuja. She also holds a certificate in IT with emphasis on web Development from the Michigan State University. Biodun Olujimi came up the hard way, out of a hard-working lower class family in a Nigeria that did not create opportunities for kids like her. She has made it her life’s work fighting for lower class families. This fight started while working as a broadcaster and journalist, Biodun was able to relate with a multitude of families on issues that have hindered their progress. These issues range from basic healthcare to security. Today, as much as Nigeria has grown leaps and bounds, Biodun realises that the “fight” continues. Her story is that of grass to grace, she worked hard to get to the top. Biodun got her first job at the young age of fourteen, a shop assistant in a fabric shop in Lagos. She started saving to return to school as well as assist her parents with the school bills for seven (7) siblings. This meant that Biodun worked at different times with the Nigerian Tribune, Nigerian Posts and Telecommunication, Nigerian Television Authority, the Delta Steel Company Ovwian Aladja, Reflex Concept and DBN Television. 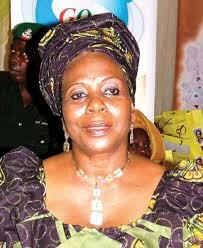 Biodun Olujimi began her Political career in 1997 as the National Publicity Secretary of the now defunct NCPN. Upon the dissolution of NCPN, Biodun joined the All Peoples Congress and eventually became the National Publicity Secretary. She later joined the Peoples Democratic Party (PDP) in 2002 and has attained great heights in her political Career. She was appointed Special Assistant to the Executive Governor of Ekiti State in 2003 and was later elected to the Federal house of Assembly. In 2005, She became the Deputy Governor of Ekiti State under Governor Ayo Fayose. Following from this Mrs. Olujimi became Commissioner for Works and Infrastructure in Ekiti State under Governor Segun Oni as well as Director of Women Affairs, Goodluck-Sambo Campaign Organisation at the 2011 General Election. Mrs. Biodun Christine Olujimi, was nominated onto the Board of the NCC by His Excellency Dr. Goodluck Ebele Jonathan in late 2011. She is widely credited for the original thinking, political courage, and relentless persistence in her drive to ensure Governance is cascaded to the grass-root. Biodun and her husband Chief Ariyo Olujimi, have been married for 32 years and their marriage is blessed with Children and Grand-children. In the 2015 elections, she contested for the Ekiti South Senatorial District and won under the Platform of the Peoples Democratic Party.